I read an article recently that speculated a correlation between social media and depression. The theory was that because people tend to online share only their positive personal experiences, the net effect for a social media surfer is the impression that other people's lives are much more rich and exciting than their own, which in turn leads to a lowered sense of self-worth and depression. I suppose it sounds logical, but perhaps too simplistic. Though I do think there is a bit of truth to this idea. I'm quite certain that all food bloggers cook up failed recipes just like non-blogging folks, but rarely is there any mention of this. Which is unfortunate, in my opinion, because if blogs are a personal account of someone's life, then there's an important part missing from the story. But hey, you don't see me doing it. 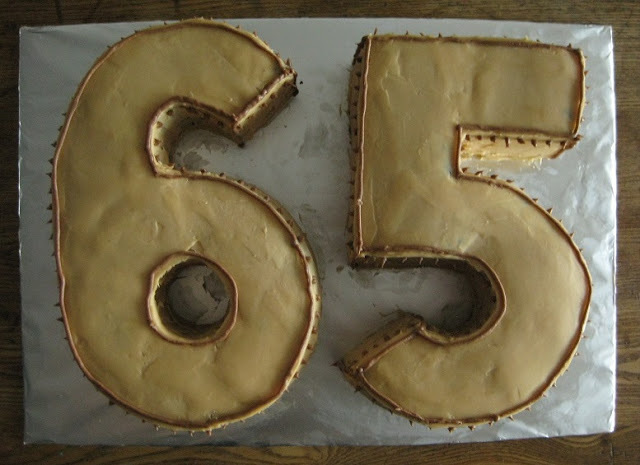 Case in point: I baked a cake for my father-in-law's 65th birthday party last month. It took several days of planning, baking, freezing, assembling, and frosting to create a cake spectacle to feed over 50 people. The end result was a bourbon-spiked chocolate cake with a sweet caramel icing that I should have been proud to blog about. Instead, I felt it looked much too awkward and elementary, due to the lack of cake decoration. So it came and went, and the internet would never hear about it. 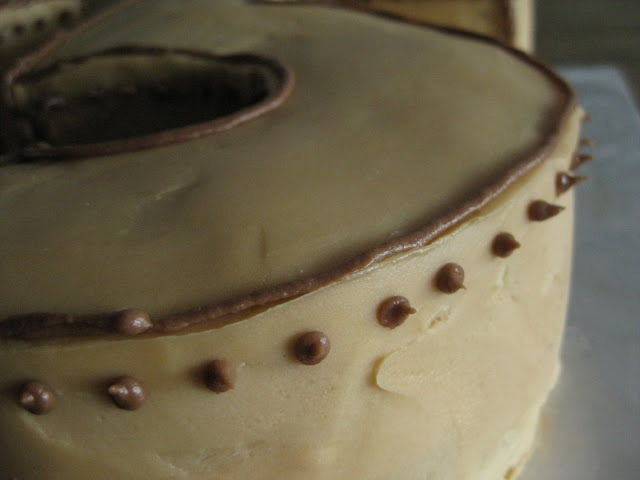 As I was clicking my regular blog list yesterday, I came across a post with photos of five different cakes, each one looking more perfect than the last. At least one cake was made by a professional bake shop. I made mental notes, in the form of Pinterest pins, in the hopes that I could improve my cake decoration skills at the earliest opportunity. A few clicks later, I found another posting one a different blog, this one about a homemade birthday cake didn't turn so well. Yet I thought it was a very sweet and heartfelt cake, made even more so with the scattered candy pieces and crooked candles. You could see that the cake was well loved and celebrated, even without reading the story behind it. That's the thing about homemade, isn't it. Homemade is genuine and honest. It is crafted from thought, effort, and feelings, and served on a humble platter of kindness. It is a gesture of giving a small piece of one's self for others to share. And that's nothing to feel ashamed about. All that being said, I'm still a little embarrassed to put up these photos of my cake, but I'm trying to get past it. Oh, and while we're getting all these fuzzy feelings out, here's wishing you a very happy Mother's Day. Mom: I love, respect, and appreciate you, even though I rarely ever say it. Like! And agree, it's very hard to post something not-so-perfect or not-so-pretty but it's a part of the process. Good job! It's Leslie :) Congratulations on the new baby, and having the courage to post this. Good for you for trying so many new things! Perhaps we can connect over email again. It's exciting, scary, risky, but hopefully worthwhile in the end! Wishing you, M, and well, Baby M all the best! Oh, but that would be working for the enemy.